My boyfriend, Justin, has been counting down the days until this new boxing studio, Title Boxing Club Framingham, opened (which was this past Monday). Of course, we were there for the grand opening night in one of the first classes. I had no idea what to expect going into this type of class. The description of the class seemed intense and I did not have any boxing and/or kickboxing experience, but I was up for the challenge and so was Justin! We arrived to the studio early and were greeted kindly and given a tour of the beautiful space filled with many hanging 100 lb bags and a small boxing ring. We were given gloves to use for our first visit and some of the trainers helped wrap our hands for extra protection and then we were ready for class to start. The class started off “slow” with a 15 minute warm up consisting of multiple body weight movements with high energy and no breaks. Then we quickly switched pace into eight three minute rounds of punching the bags. During these rounds the trainers walked around to check in with all of the clients to make sure they had proper form and were hitting the bag correctly. In between each three minute round we had an “active rest” which consisted of various types of lunges, squats, jumping jacks, and other body weight exercises. Once we completed the eight rounds it was time for a quick gulp of water and on to abs, 15 minutes of abs! We did every type of crunch and twist you could think of while holding a medicine ball. We finished with a cool down stretch and finally an hour later we had survived. This workout was so different and challenging. It is supposed to burn up to 1,000 calories an hour and really gets your heart rate up! 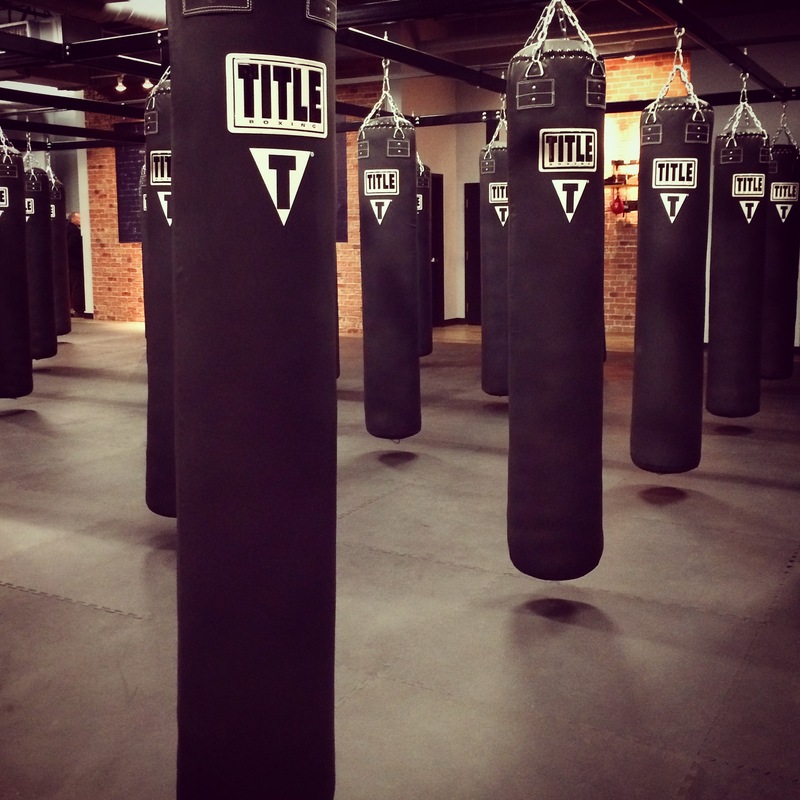 Title Boxing is a great way to unleash anger or stress during a workout as well. I would highly recommend anyone giving this a try. The trainers are extremely nice and cater to all fitness levels, yes, even beginners! You have no reason to be intimidated, it is fun and refreshing change from many typical workouts and studios! 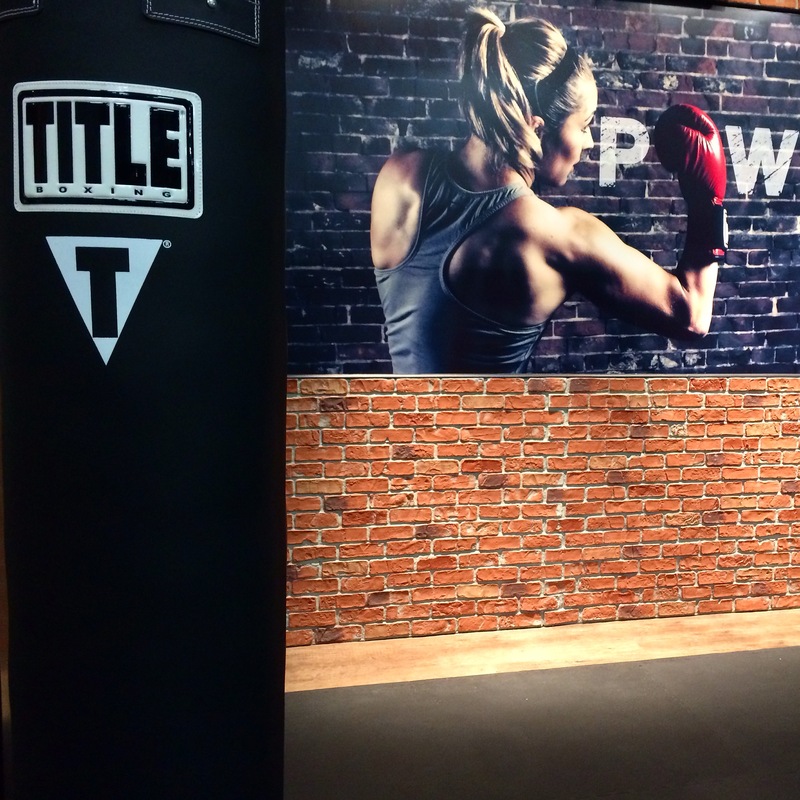 Title Boxing Club has locations all over the United States so keep a look out for one near you.